Petra Kvitova displayed her credentials for a third Wimbledon title after beating Slovakia’s Magdalena Rybarikova 4-6, 6-1, 6-2 to defend her Birmingham title. Defending champion Petra Kvitova raced impressively into the Birmingham Classic final on Saturday with a 6-3, 6-2 win against Mihaela Buzarnescu. Petra Kvitova moved into the semi-finals with a 6-1, 6-4 victory over Germany's Julia Goerges on Friday. 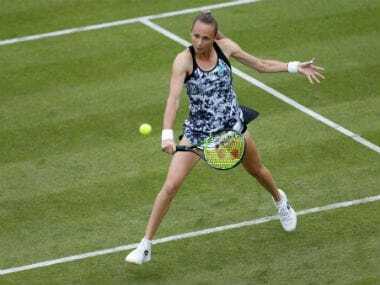 World number seven Karolina Pliskova’s Wimbledon preparations suffered a setback in a 6-2, 6-3 defeat by Magdalena Rybarikova of Slovakia in the opening round of the Nature Valley Classic in Birmingham on Monday. Nadal will play sixth seed Marin Cilic for a place in the semi-finals after the Croat beat Spanish 10th seed Pablo Correna Busta. 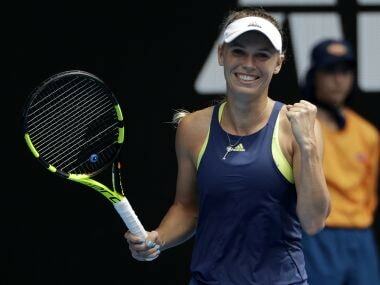 Wozniacki was in no mood to think about breaking her duck with an Australian Open title, nine years after making her first major final at the US Open. 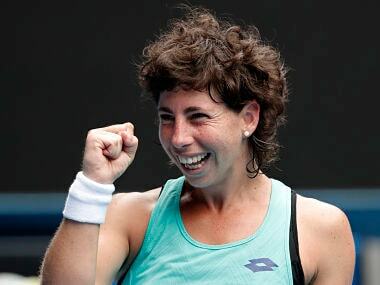 Suarez Navarro came from a set down to register a win over Anett Kontaveit with a delightful display of tennis she says is inspired by Justine Henin. Caroline Wozniacki moved a step closer to a first Grand Slam title with a romp past 19th seed Magdalena Rybarikova at the Australian Open on Sunday. 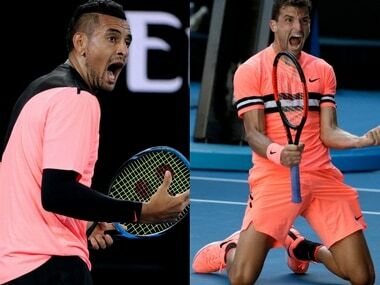 Kyrgios beat Dimitrov in three sets in the Brisbane International semifinals two weeks ago, then went on to take the title.